This is such a beautiful pigeon! Yes indeed, they all are! that is a beautiful pigeon. nicely done too. Very beautiful pigeon. CK sifu, where else can we get this bird? Peng, you can get this pigeon on a number of offshore islands. Nearest to KK is P. Tiga. Thanks Yen, I am learning. 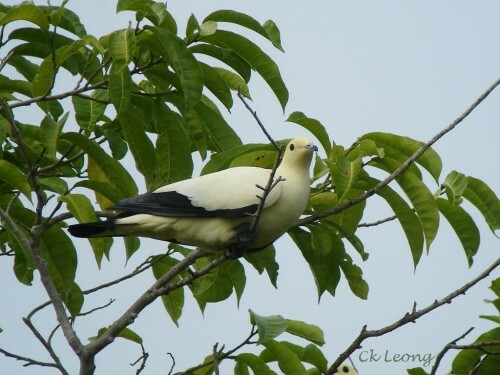 I noticed from mid 2011 till to- date, a lot of these birds at the Sabah Golf & Country Club in Luyang, Kota Kinabalu. But the birds are shining green on their backs and greyish white from the breasts down. They are perch fairly low on the tree branches. Lovely to watch such majestic birds! Your birds seem to be the Green Imperial Pigeons. Thanks for sharing.